As you know, my darling husband Nathan is in the process of a master’s degree. And the truth is, he is quite an odd ball at his school. Not in a “hey-let’s-pick-on-that-dude” kind of way. But rather, he is a minority because he is married with not one, but two kids. Majority of his classmates, if married, do not have kids. So when we visit their homes, I am terrified that our children will terrorize their beautifully decorated expensive homes. It’s mostly in my head though, because all of them are really nice about having our children in their homes. Anyway, to the point. When we dine with Nathan’s school friends, they usually don’t have kid-friendly dinnerware. That’s when I though we should probably bring our own. That’s when I thought a traveling placemat would work great. Not only could we take it to other people’s homes, but it could also be used at picnics and restaurants. Make a whole set for everyone in the family and go out for a nice family picnic once the weather warms up a bit. 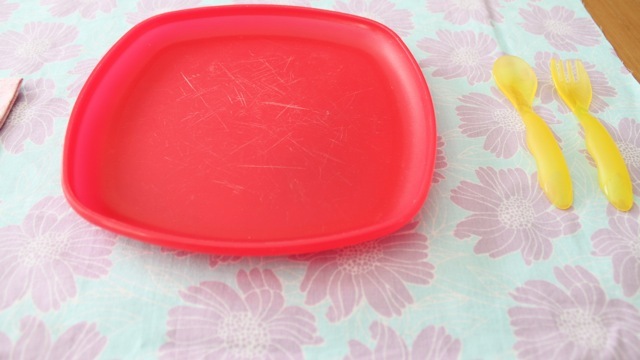 The measurements for this placemat is specifically for The First Years Take And Toss toddler forks and spoons and a square plastic plate that I can’t remember where it came from and it doesn’t say on the plate either. Please make note of the dimensions in the tutorial. Depending on what size plate and utensils you would like to use, you will have to change the measurements accordingly. I’ll tell you how you can do that in the tutorial. If you make something using this tutorial, please upload pictures of it in our Flickr group to show it off to everyone. You may be featured on Simply Modern Mom. 1. Measure your plate and utensils. If you are using are using a round plate, you will need to figure out the diameter and radius of the plate. My plate was 8″ x 8″, a square. The fork and spoon were 5″ x 1″ width. If your measurements of plate and utensils are similar to mine, then you can use the measurements in bold. If yours are different, then you will need to figure out how to come up with your own measurements. Instructions below in italic. 2. Cut out your pieces, 1 piece each. 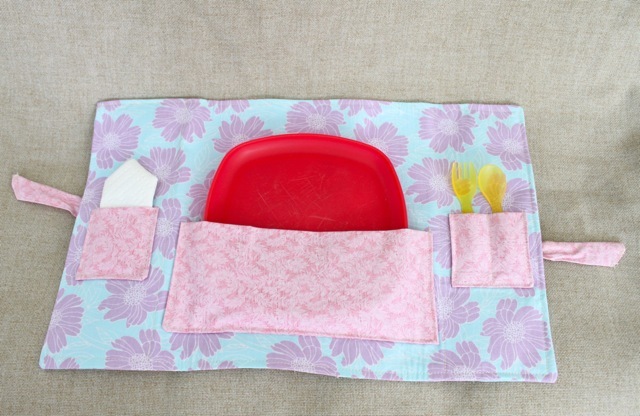 Placemat top (where you have the pockets for plates and utensils) 13″ x 20″. Placemat bottom (where you have the tie) 13″ x 20″. Interfacing or transweb the same size 13″ x 20″. Plate pocket is 9 1/2″ x 9 1/2″. Spoon and fork pocket is 7” x 4″. 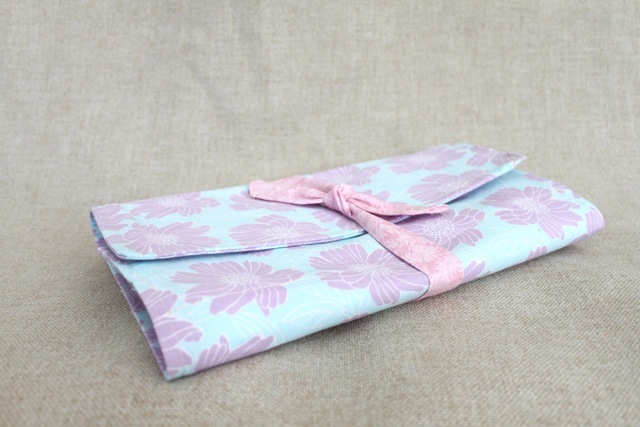 Napkin pocket is 7″ x 4″. Tie is 3″ x 27″. All measurements include a 1/2″ seam. Figuring out your own measurements. Get ready for some math. Length of plate + 5″ = length of placemat pieces. (Width of plate + 1″) + (half of plate + 1″)x2 = width of placemat. (Half of plate length x 2) + 1/2″ = length of plate pocket. Width of plate + 1 1/2″ = width of plate pocket. Length of utensil + 2″ = length of utensil pocket. (Width of utensil x 2) + 2″ = width of utensil pocket. The napkin pocket is the same measurements as the utensil pocket. Tie length is 3″. (Width of plate + 1″) + (half width of plate + 1″)x2 + 6″ = tie width. Let me know if any of this is confusing (probably all of it). 3. Iron all the pocket pieces and tie piece right sides together folded in half lengthwise (the width are touch each other). The measurements above are length x width. 4. 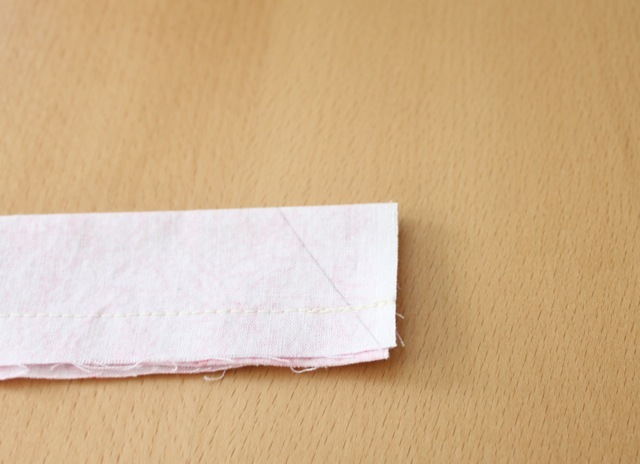 Sew with 1/2″ seam the long side of the tie. Make sure the right sides are together. Make an angle at one end and cut the same angle on both ends by matching them up then cut. 5. Sew 3 sides of the pockets right sides together. 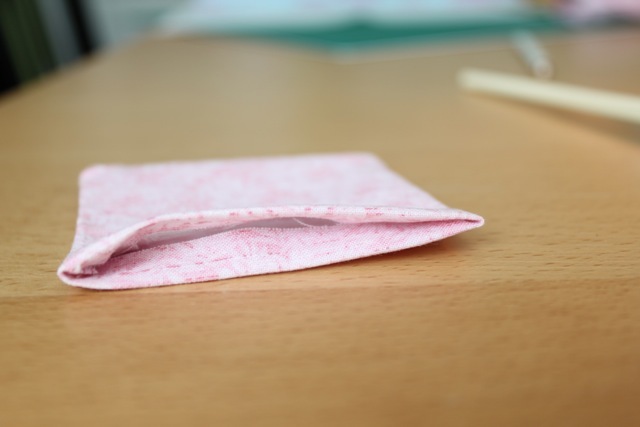 Flip the pocket right side out through the open side. Do to all 3 pocket pieces. 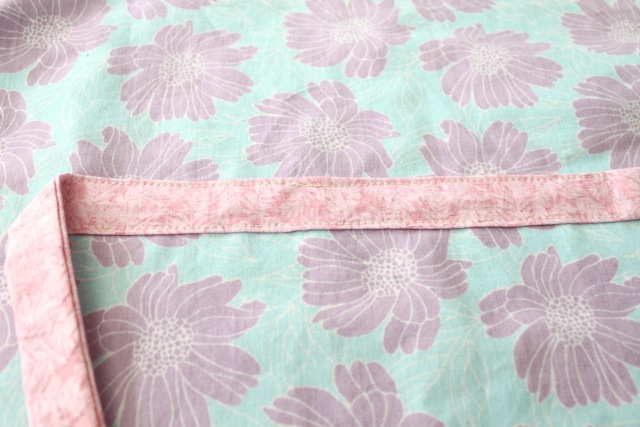 Tip: I like to cut off the corners so when you flip right side out, the seams fit flat at the corners. 6. Iron the sewn edges flat. The tuck in a 1/2″ seam at the open side and iron flat. Do to all 3 pockets and tie. You should have 2 open ends on the tie. 7. Top stitch the 2 open ends of the tie close. It should be at an angle and with the seam tucked inside the tie. 8. 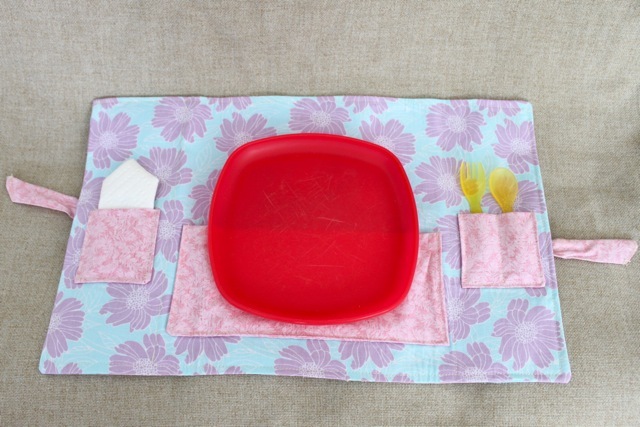 Place your plate and utensil on the placemat to mark where you want the pockets to go. 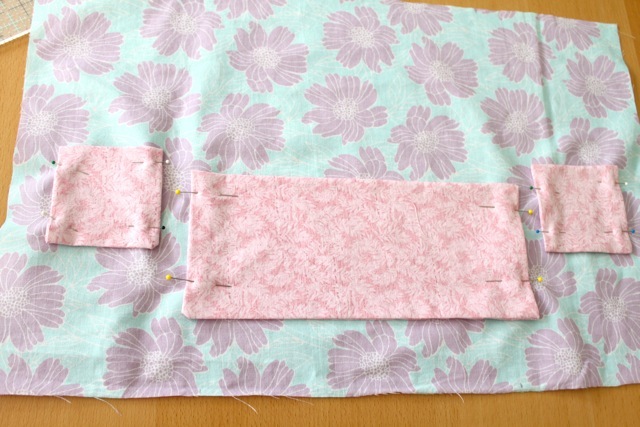 Remember to start 1/2″ from the edges of the fabric for the seam allowance. For my particular measurements, I did the plate pocket 2″ from the bottom (not including the seam allowance) and equal distance from both right and left sides of the plate. 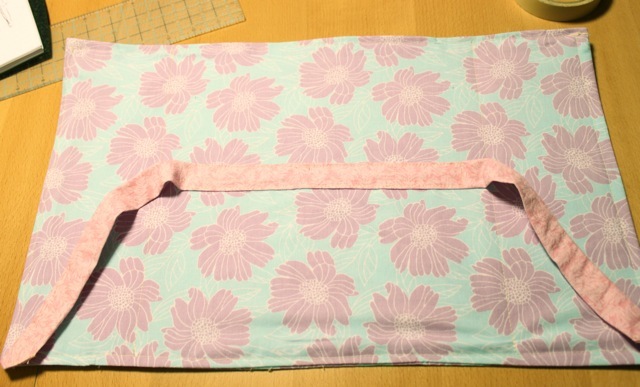 The utensil and napkin pocket I did 1 1/4″ in from the left or right edge of placemat (not including seam allowance). Then 7″ from the top and 4″ from the bottom of the placemat (not including seam allowance). 9. 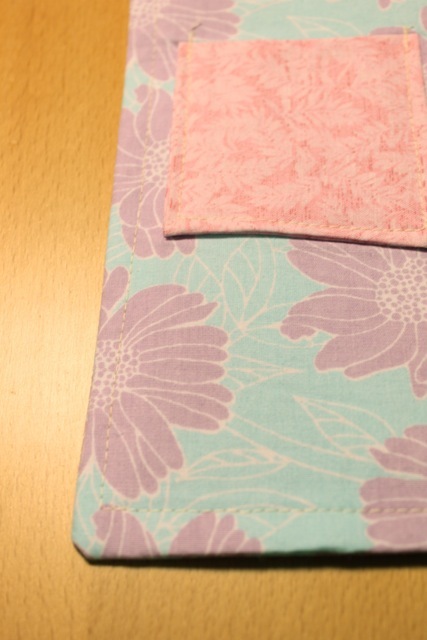 Pin the pockets in place to the right side of placemat top piece. One side of the pocket is still open. Make sure the open side of the pocket is not the top of the pocket. 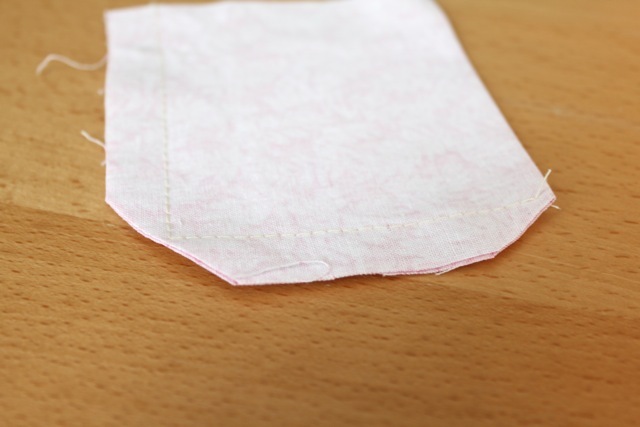 Then top stitch the pockets along the right, bottom and left sides at 1/8″ away from the edge of pocket. Do to all 3 pockets. 10. 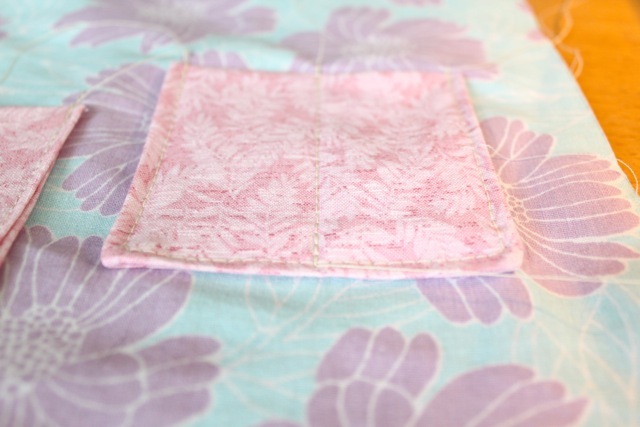 The utensil pocket will need to be sewn down the middle, making 2 pockets from the one piece. Don’t do to the napkin pocket. 11. 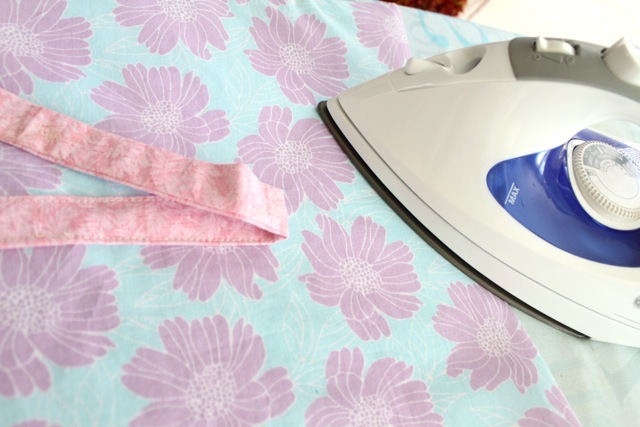 Following instructions from the interfacing or transweb, iron the interface or one side of the transweb to the wrong side of the placemat top piece. 12. On the placemat bottom piece, find the center of the piece on the right side. Match the middle of the tie piece to the center of the placemat on the right side of the fabric. Pin in place. 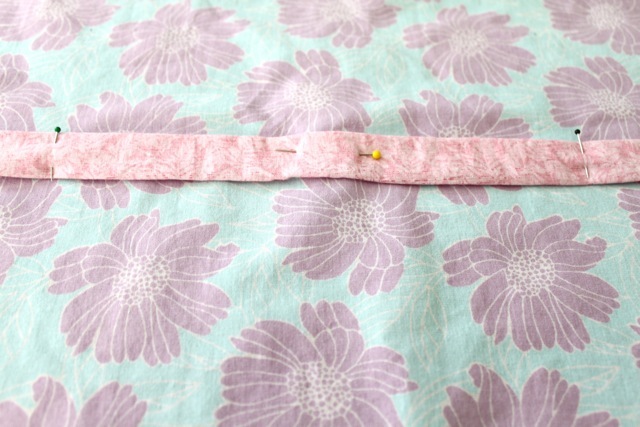 Then mark where you will stop sewing with pins. 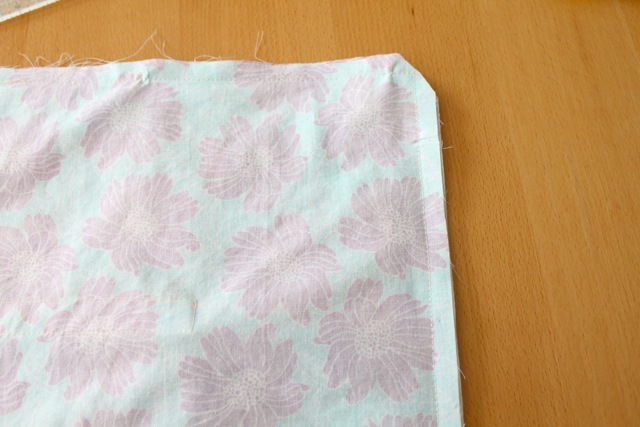 To figure out where to stop sewing, it’s the width of plate + 1″. But make sure it’s even on both sides of the center mark. See picture below. 13. 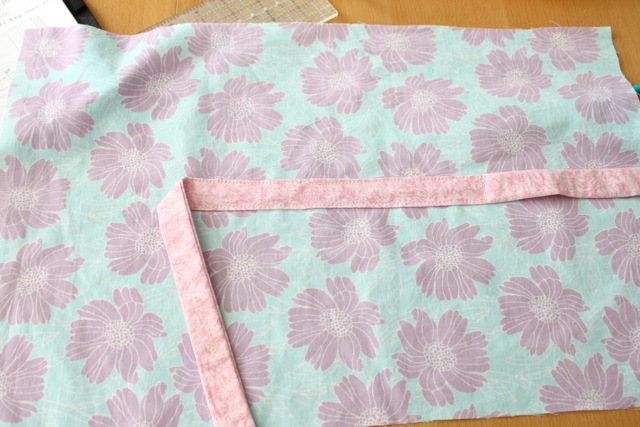 Get the 2 placemat pieces, one with pockets has interfacing or transweb on the wrong side and the other with the tie on it. Put the right sides together. 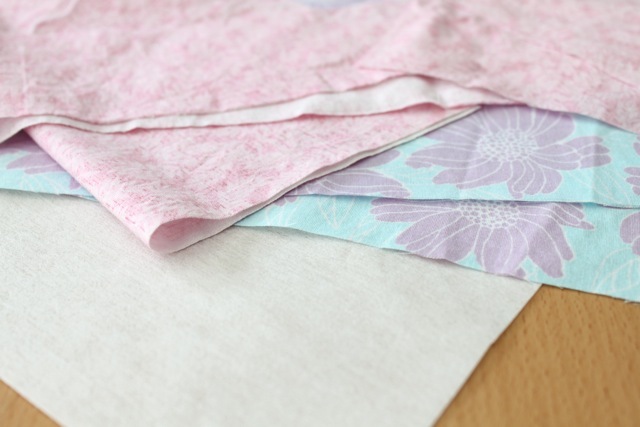 But make sure that after you sew the edges and flip it right side out, the tops and bottoms of the placemat match on both sides. 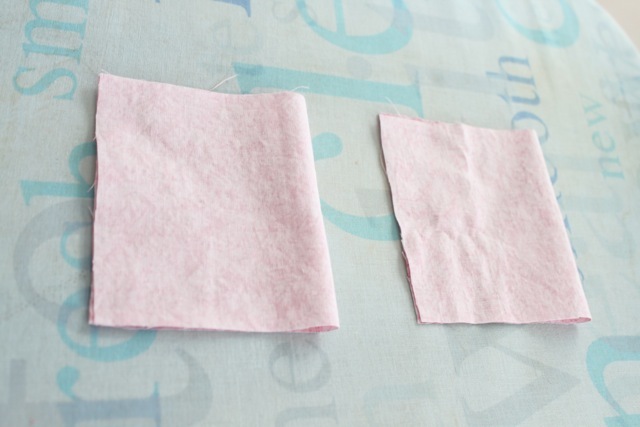 Sew 3 edges together with 1/2″ seam. Cut off corners. 14. Flip right side out. Check to make sure the placemat is correctly assembled. If you used transweb, take off the paper on the second side. Iron the placemat, mainly the edges. 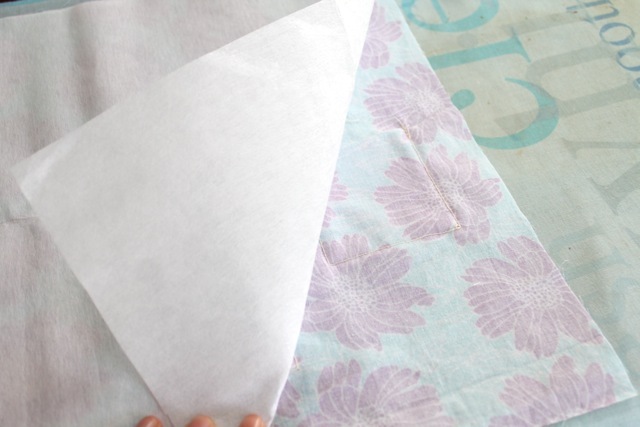 And fold 1/2″ seam inside the placemat and iron it in place. 15. Top stitch all 4 sides of the placemat, closing the open edge too. 16. 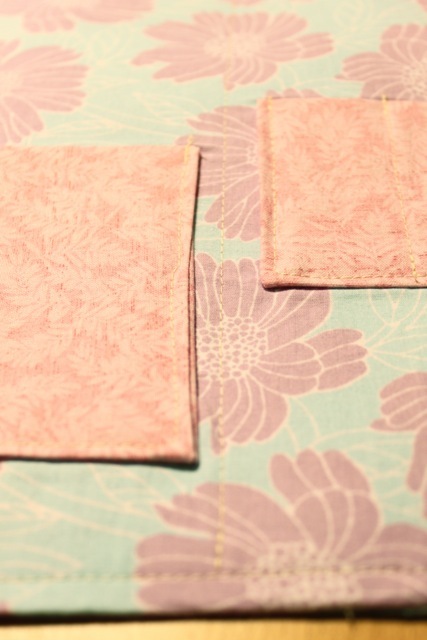 Since I used interfacing, I sewed a line down where the folds of the placemat are between the pockets. Make sure you don’t sew the ties down on the back side. And done. » Tell me… So what do you think? Is this something you could use too? It is also machine washable so if it gets dirty, toss it in the laundry. And if you don’t want to fold it up afterwards with dirty dishes in the placemat, I thought you could probably bring a gallon size Ziploc bag to toss dirty dishes in. I made some for my grand daughters birthday party. 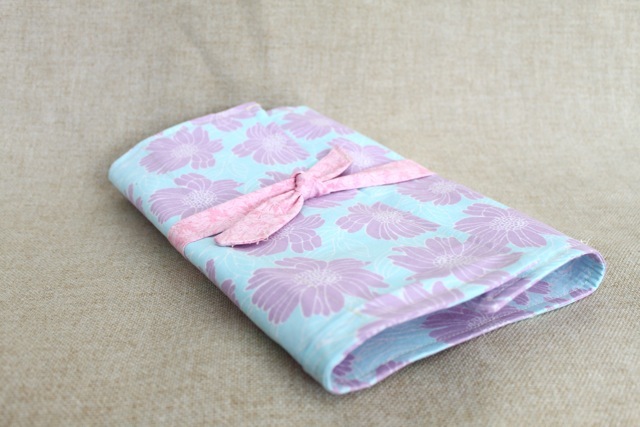 Great gift for the guests…. I think this is a really cute idea, and very cute and well executed. Love this and so will all my grandkids.I’m getting ready to go camping during spring break and I hope I can get them done by then. What a great idea – will make a few for my grandchildren. thank you! This is a great idea and I have the perfect old Tupperware plates to put in these for my 2 grandsons who are coming to visit…thanks for sharing this simple to make project. This is such a cute idea. I have a new grandbaby and I’m expecting 2 more shortly, so I don’t have to rush to get these done. They won’t use them for a few months. I found 7 1/2 inch square plates (BPA Free) at Walmart for $1.50 each. I’ll be buying a few more for future gifts. This is such a unique idea. Thanks so much. I’ve made two of them for baby shower gifts. It’s easy and inexpensive to make.